At BM Engineering we provide an array of temperature gauges in the UK spanning across several different sizes and immersion lengths. Measuring the temperature of fluid is vital in the process industry, whether it be in line or in a vessel. Temperature gauges (also known as thermometers) can give a clear visual indication to an operator of the temperature in a system, allowing them to make a decision to make changes to the process if necessary. Here at BM Engineering, we are professional temperature gauge suppliers with many years’ experience recommending temperature gauges for plants across the country. 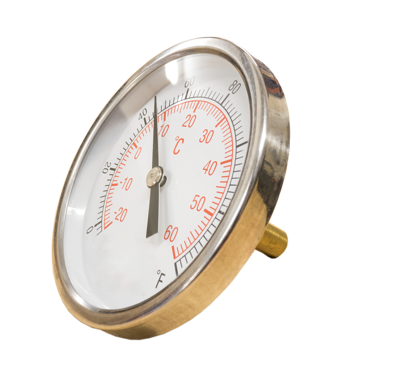 We can supply temperature gauges in a variety of measuring configurations such as bimetal, gas filled system thermometers and mercury in steel thermometers. While most thermometers we supply are stainless steel, other materials are also available. The most common dial size available is 100mm, but at BME we also supply 63mm and 160mm. Process connections can be fixed or swivel, with a bottom or back entry, and come in a range of immersion lengths starting from 50mm. Thermometers can be supplied with thermowells to protect the temperature gauge and immersion sensor from the process, as well as allowing for removal of the gauge without the need to shut down the entire process. All of BM Engineering’s temperature gauges are available with ATEX certification, calibration certificates or material certificates if required. For more information on the temperature gauges we supply, or to speak to one of our technical engineers about how a temperature gauge could benefit your application, call on 0141 762 0657 or get in touch via email at sales@bmengineering.co.uk. Thermowells are tubular fittings that consist of a closed tube that is mounted into the process stream. 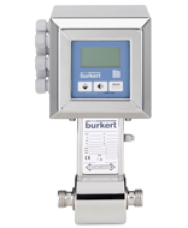 Thermowells are used to protect temperature sensors installed in industrial processes.